Brushes are wonderful styling aids, but you need to be careful when you use them. Incorrect brushing, and the wrong type of brush, can cause widespread damage to your hair and scalp. For instance, vigorous brushing can remove some of your hairs’ cuticle – the hair’s outer cell layer - which weakens it and causes breakage. Constant traction from brushing can also pull hair out, while sharp points are capable of removing the top layer of scalp skin. While combs are in general gentler and better for your hair than brushes, they will not give you as much control when styling. The best styling results are achieved when you use a comb to ease out tangles and a brush to style your hair into shape when blow-drying. Choose a brush with long, widely-spaced plastic bristles, not natural bristles. Plastic bristles are smoother, blunter and kinder to you hair, while natural bristles are sharper, often barbed, and tufted close together. Above all, avoid brushes with metal prongs. Although satisfying, brushing your hair should not be used as a way to ‘exercise it’. Think of what would happen if you brushed a wool sweater or a dress fifty times a day: it would fray and wear out. The same goes for your hair. Wet hair is swollen and stretched by as much as 20-30%, so roughly brushing your hair when wet can snap it like a rubber band. To avoid unnecessary breakage, use a comb, rather than a brush, to remove tangles after washing your hair, and always work tangles out starting from your ends. Brush already-dried hair gently, carefully easing any knots out from the ends upwards. Pulling a brush roughly through your hair from top to bottom can worsen tangles, cause hair breakage and scratch your scalp. 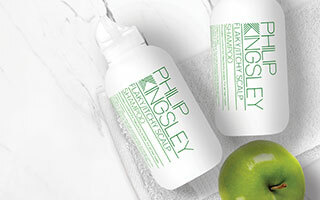 Use a de-tangling spray before brushing in the mornings, or at any time of day on knotted hair, to help remove tangles. Be careful not to pull or twist your hair too much when you blow-dry. 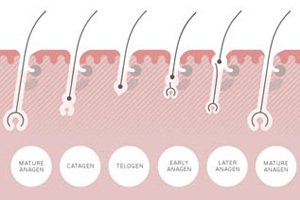 The combination of heat and extra traction is more likely to cause hair breakage. Just like brushes, some combs are better for your hair than others. The best combs are ‘saw-cut’, whereby each tooth is cut into the comb, making them smoother. They are usually made from vulcanite (a type of hard rubber). Good plastic saw-cut combs are also available, but vulcanite rubber is preferable due to its anti-static properties and ease of cleaning. Metal combs are the worst for your hair as their edges can lacerate individual strands. Cheaper plastic combs made in a mould should also be avoided, as they have join lines down the center of each tooth which can cut your hair shaft, remove hair cells and eventually weaken your hair. Brushes and combs collect dirt easily, so it’s important you clean them regularly, or you’ll be brushing dirt and old product back into your hair. The best way to clean a brush/comb is to dissolve a tablespoon of washing-up liquid in a basin of water. Add a small amount of antiseptic and then quickly tap your brush or comb in it. Afterwards, rinse with clean water. 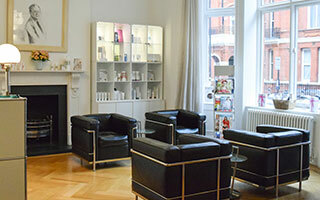 If you would like more information, our clinics based in London and New York specialise in hair and scalp issues.